Revealing various aspects of Chhattisgarh: places to visit, its cultural heritage, history, facts, unknown aspects, the people, natural beauty. Unchanged way of living and let me introduce you to a village!! Chhattisgarh is blessed with rich culture heritage right from its origin. It has got prosperous history of rulers and dynasties who were responsible of great art and sculpture, still evident in different parts of State. There are many places in Chhattisgarh State which are famous for temples, but there are very few among those, which are famous as temple cities namely, Maheshpur(Surguja), Dipadih(Balrampur), Sirpur(Mahasamund), Barsur(Dantewada), Arang(Raipur) and Rajim(Gariyaband). The most famous among them is Rajim. Rajim is also renowned as Prayaag-raj of Chhattisgarh, situated on the bank of confluence of Pairi, Sondhur and Mahanadi rivers. Where and How to reach? Coming from Raipur District, Rajim is the first block of Gariyaband District. 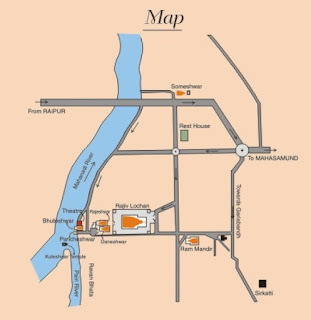 The Site is directly connected to NH-30 (Raipur-Jagdalpur Road), and nearly 45kms away from Raipur. Raipur is the nearest railway station and airport available. For boarding and lodging, both Raipur and Rajim are good destination. But as Raipur is State Head-Quarter, it is advisable to stay at Raipur itself. There are many hotels and lodges in Raipur which offer exciting tour packages to visit Rajim and adjoining tourist places. Rajim is famous in many aspects namely historically, archeologically, religiously, mythologically etc. 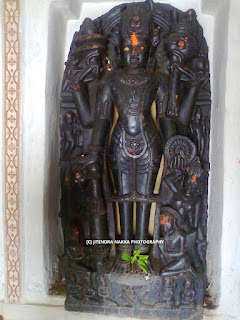 Rajim is called the centre of Panch-koshi tirth(pentagon pilgrims) of Chhattisgarh, where the other temples which form the five edges of this pentagon are kopeshwar(Kopra,Gariyaband), Bramhakeshwar(Bramhani), Paneshwar nath(Fingeshwar, Gariyaband), Champeshwar nath(Champaran, Raipur) and Kuleshwar nath(Rajim, Gariyaband). There is an interesting myth related to this sacred place. Lord Vishnu ordered Lord Vishwakarma, the God of Architecture to build a set of pentagon like temples where uptill now no cremation has been done. Lord Vishwakarma search whole universe and returned answerless. He requested Lord Vishnu to tell some path to find the answer. Lord Vishnu told that wherever the lotus from his hand, will fall in earth, Lord Vishwakarma has to build temple there itself. As the pores of the lotus fell on Rajim, it was considered the heart of Lotus and a spectacular temple of Lord Vishnu was built there, surrounded by above mentioned five temples on its five edges. Proofs say that Sarabhpuriya Dynasty conquered many places in Central Chhattisgarh and was dominant sometime during 5th Century A.D. It is believed that ‘Sarabh’ was the founder of this dynasty and his son ‘Narendra’ were vassals (landlords) of the great Gupta Family. Their successors showed loyalty to Vakataks of Vidarbha region. 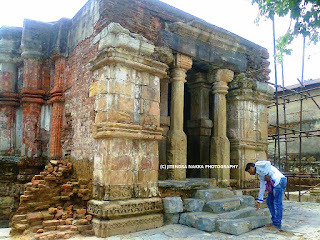 It is said that the Sarabhpur rulers were ousted from their capital Sripura (Modern Sirpur) by Pandava rulers of Dakshin Koshal. There was a stone inscription found at Rajiv-Lochan temple, by which the temple can be estimated to have built during 7th Century A.D. by a lesser known Nala Dynasty, who are believed to have shifted here after the extinction of Great Pandavas of Dakshin Koshal. The period between 7th Century to 12th Century is lesser known to historian, till Jagatpal and his ancestors helped in establishing the foundation for rulers of Ratanpur Branch of Great Kalchuri Dynasty. 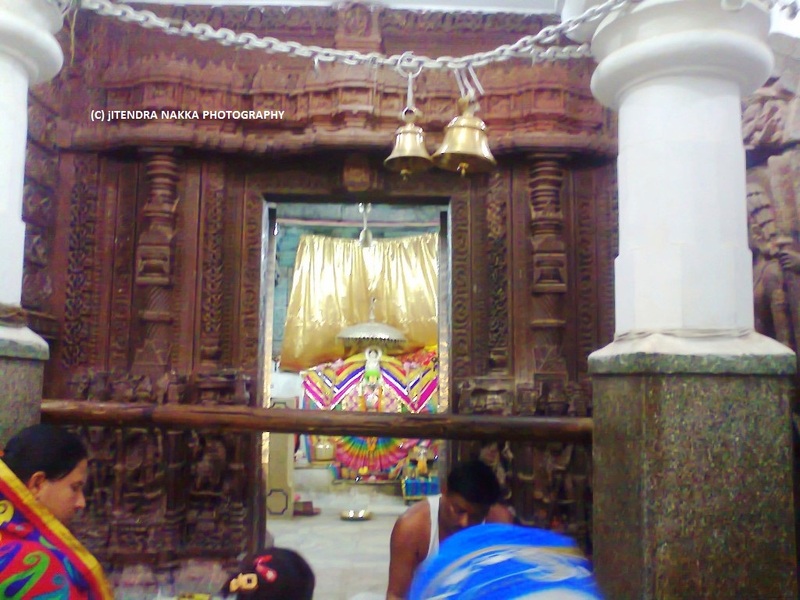 As mentioned above in temple groups, Rajiv-Lochan temple is the main temple in Central group of temples, which stand on a platform of nearly 8 feet height and dimensions are 69X43 sq. ft. It faces west towards the river. Temple consists of Garbha-griha, Antarala and Mandapam(Mandap). A 6ft tall extremely beautiful idol of Lord Rajiv-Lochan (Lord Vishnu actually) is centrally placed in Garbh-griha. The upper side of the exterior walls of sanctum is ornamented with the artistic carvation of Vishnu Vahana Garuda. 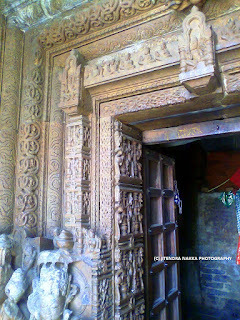 The Antrala and Mandap part of the temple stand on pillars with exotic carvations of Gods and Goddesses like Varaha, Narsinha etc. Coming under Western Group of temples, it is the temple-place where a massive annual fair fills every year at the time of Maha-shivratri and is well renowned as Rajim kumbh. 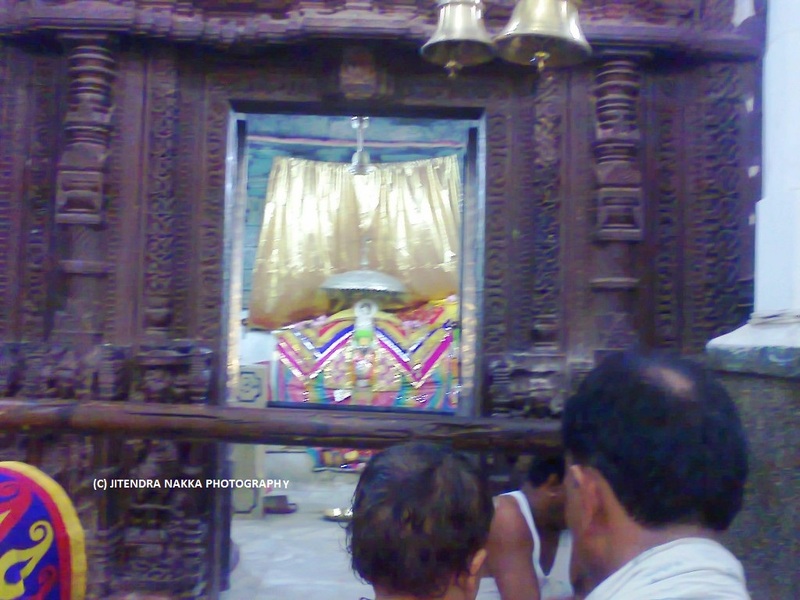 This temple is devoted to Lord Shiva. A natural Shiv-ling is believed to have centrally placed here at Kuleshwar temple, which is built on a high platform, in the confluence of Pairi, Sondhur and Mahanadi rivers. 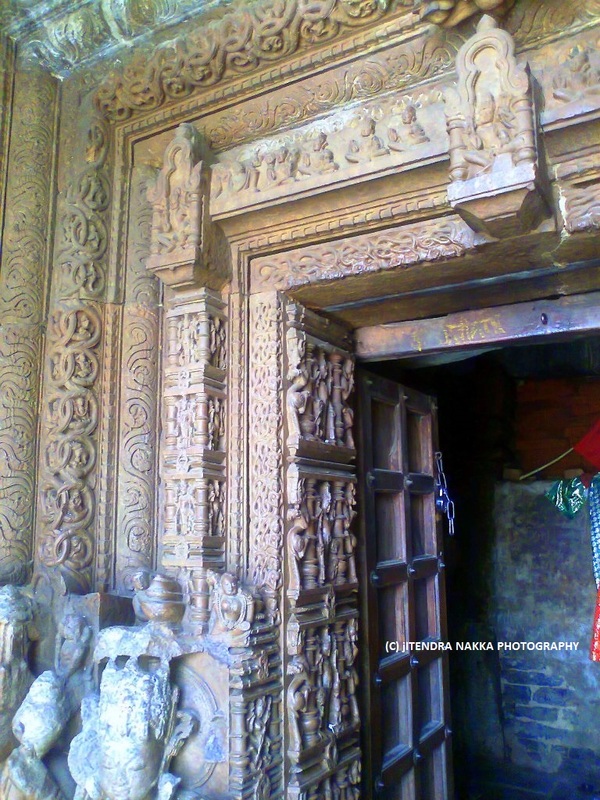 Interior of the temple walls are carved out by the idols of kartikeya, Vishnu and Mahisasur-mardini whereas exterior of the temple are carved with the idols of Goddesses Ganga and Yamuna. 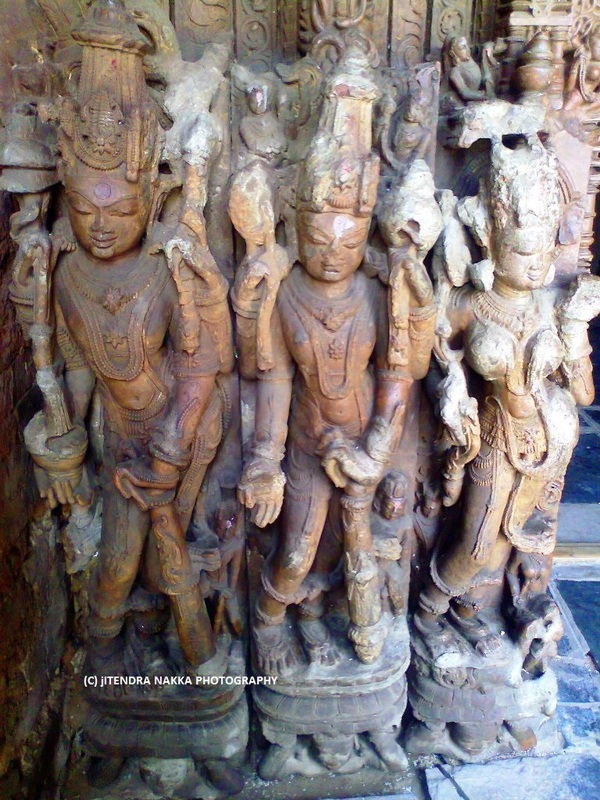 It’s quite interesting to see the architecture of Ramchandra temple, the major one amongEastern Group of temples, where all the interior pillars are decorated with carvations of Salbanjikas, flower-bearers, amorous couples and attendant deities. 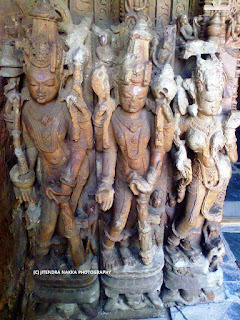 Here the statues of Lord Ram, Laxman and Goddess Sita(in Odisha temple Style) are centrally placed in the sanctum area. Aided by Archeological Survey of India, there is some excavation going on the bank of confluence of Pairi, Sondhur and Mahanadi, besides Rajiv-Lochan temple, which is worth seeing to watch. Here recently an ancient Shiv-ling, a lotus relic of Goddess Laxmi, relics of Goddesses Saraswati and Durga have been excavated out. Here you can easily observe the brick method of temple and settlement formation. 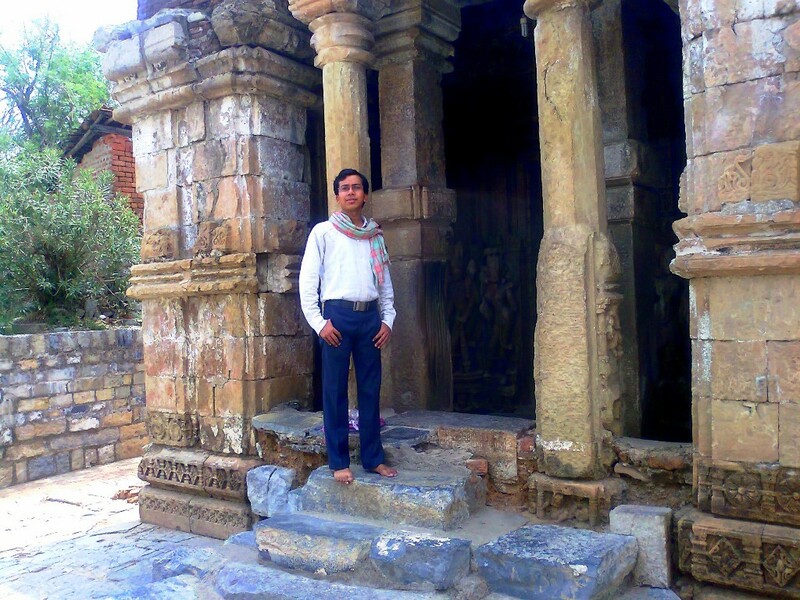 Here, there are many temples which are truly worth-watching and helps us to get intact to our culture. If you ever get a chance to visit Raipur, do visit Rajim. Here, there are many more hidden secrets which strive to get revealed out. Other than, there are many more tourit attractions nearby, which are truly magnificient to visit, namely Champaran(Raipur), Tarrighat(Patan, Durg) etc. Chhattisgarh has a great past which is evident of its glorious history, mythology, archeology, art and culture, customs and tradition. Chhattisgarh is evident of great rulers and dynasties who lead the foundation of great art and sculpture in this region. Chhattisgarh is evident of a truly devoted story of a motherly disciple who led her whole life in the worship of her Lord, Chhattisgarh is evident of great past of Shivri-Narayan. 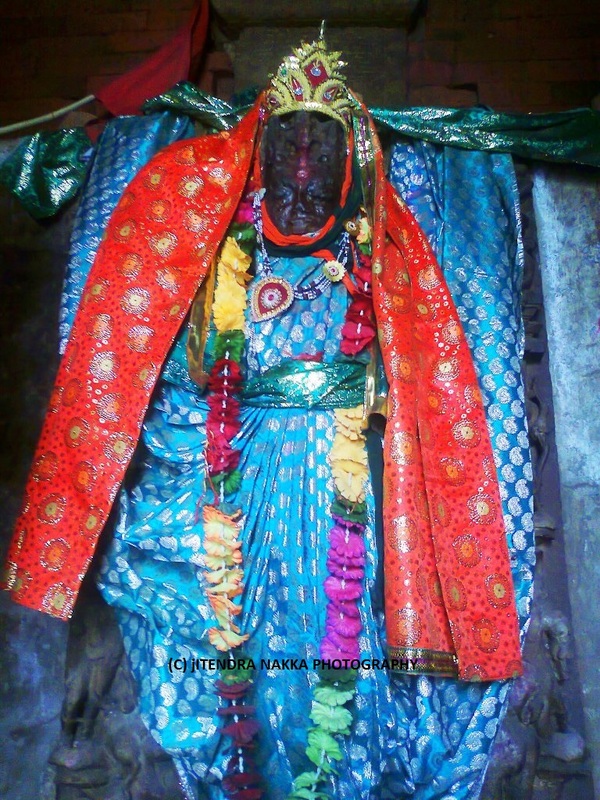 Situated on the bank of confluence of River Mahanadi, Shivnath and Jonk, Shivri-Narayan lies in Pamgarh block of Janjgir-Champa district. It is nearly 190 kms from State Head Quarter, Raipur. 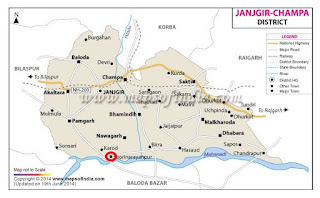 Bilaspur and Janjgir are the nearest railway stations, whereas Raipur is the nearest airport available. This site is approachable throughout all the seasons of the year via Bilaspur-Girodpuri road. Numerous hotels are available at Bilaspur providing exciting tourist packages. This place speaks about an incident of Ramayana where great Shabari happened to have offered her half-eaten fruits "Berry" to Lord Ram and his brother Laxman, with the devotion and love. Hence this place 'Shivri-Narayan' received its name after her devotion towards Lord Ram. Shabari was a tribal princess, whose actual name was Shramanaa. She belonged to Bhil Community where she escaped her marriage after realizing that numerous animals will be killed just for the sake of her marriage. She went to Dandkaranya(Present Bastar division), where a saint Rishi Matang, contented by her devotion and service, allowed her to accomodate in his aashram. She lived there untill her oldage, when she met Lord Ram and his brother, Laxman. This place has two temple, which has been assumed to have built during the reign of great dynasty of Kalchuries. One of the temple is called Narayan temple, where the spiritual idol of Lord Ram(Vishnu-Avtar) has been centrally placed. 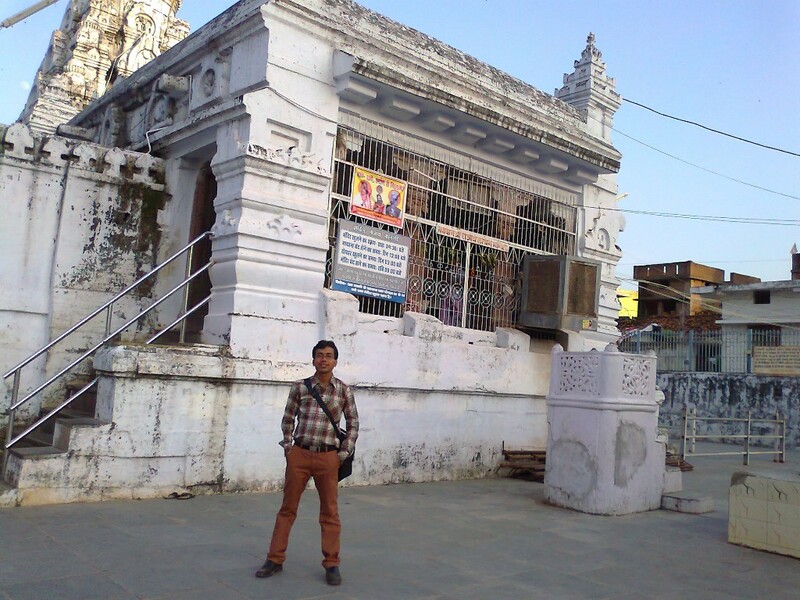 This temple has been renovated and white washed in the recent past. The other temple is Goddess Shabari temple, where Goddess Parvati is believed to have centrally settled in the form of Goddess Shabari. 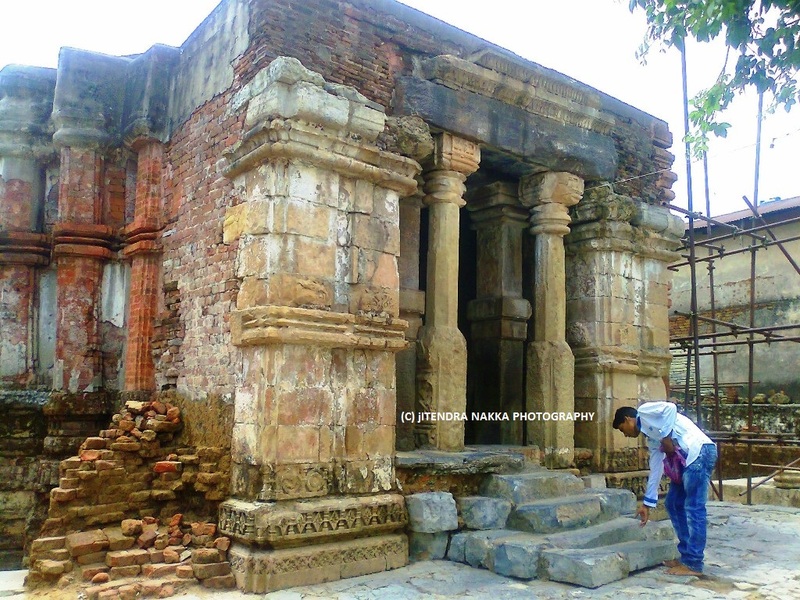 This temple is quite old and still drives the attention of Govt. to be renovated. This temple depicts the great art & sculture of Kalchuris. In the very front, one can observe, the idols of Dwarpals and Goddesses Ganga-Yamuna with perfect symmetry on either sides of the walls. 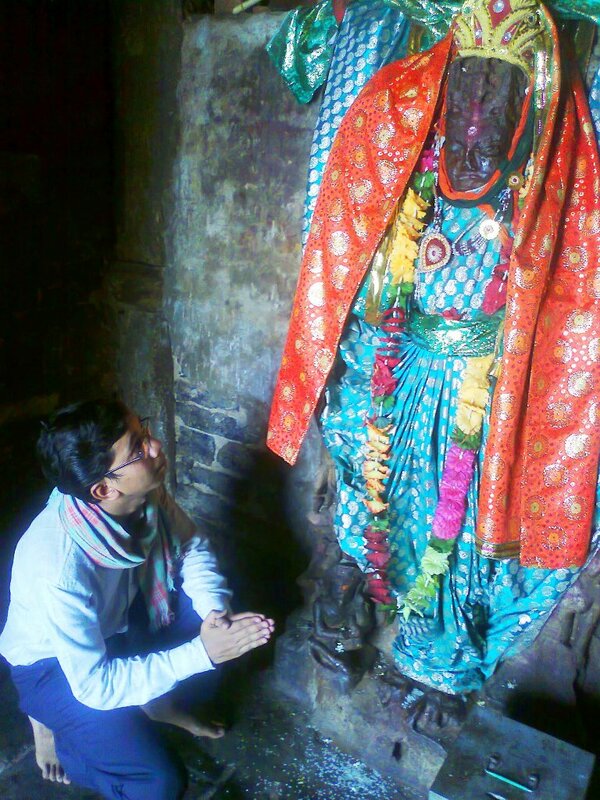 The centrally placed idol of Goddess Shabari is nearly 6 feet tall and 1.5-2 feet wide, completely disguises some one with the body of a real Goddess. Other than this, the wall of the outer courtyard and outer side of temple also depicts different idols of Gods and Goddesses. A big fair fills here at the time of Mahashivratri is worthseeing. Apart from this temple, there are some more temples like Jagannath temple, Kharaud Mahadev temple etc which too add to the beauty of this place. This place holds great importance as one of the most important pilgrim site of Chhattisgarh. Like Jagannath temple of Puri, Orissa and Dwarika of Gujrat, this place is revered as the gupt-dham of Chhattisgarh. It is also called as the Jagannath-Puri of Chhattisgarh. Jashpur is the land of mysterious caves, Jashpur is the land of serpentine valleys, Jashpur is the land of sky-touching mountains, Jashpur is the land of lush green forests, Jashpur is the land of enchanting waterfalls. 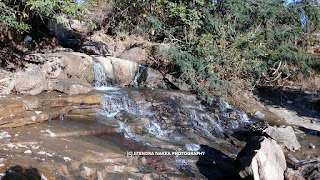 I still wonder how many wonders are hidden there in the laps of Jashpur. 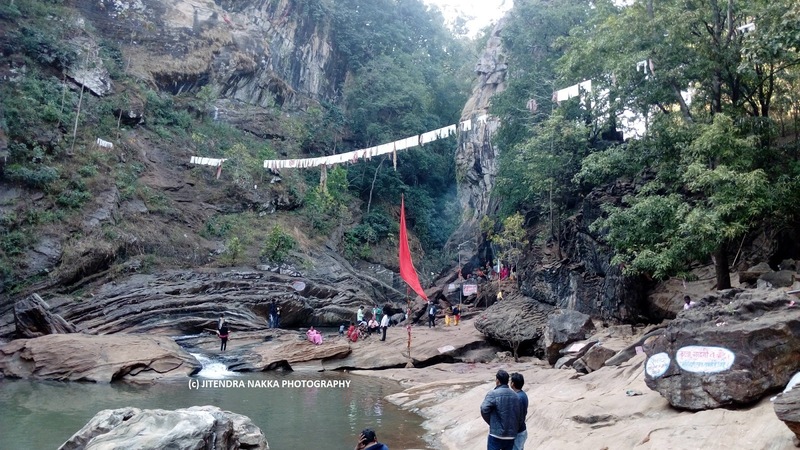 Today I am Talking about Damera Waterfall, situated near Jashpurnagar, which is considered as one of the best picnic spot near District Head Quarter. 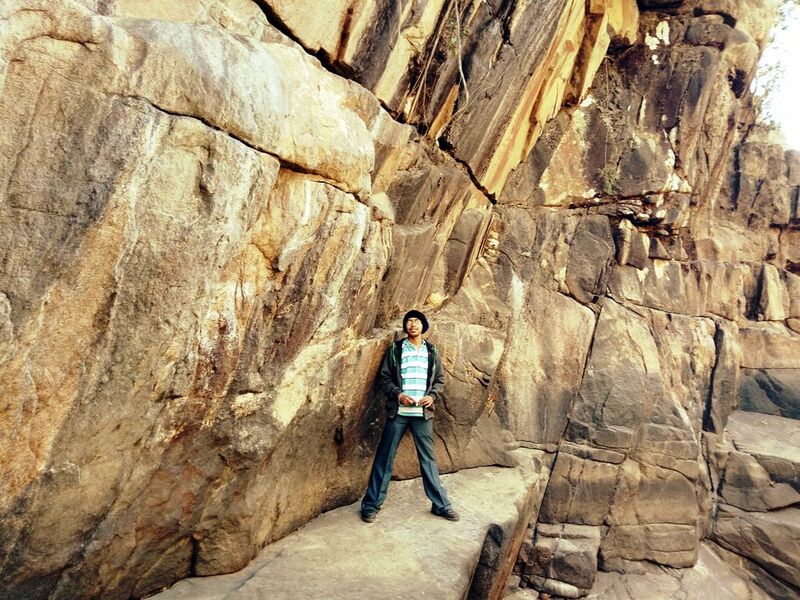 Damera is situated 12kms to the south of Jashpur. It is nearly 467kms from State HQ,Raipur. Raigarh and Ambikapur are nearest railway stations, whereas Ranchi(Jharkhand) and Raipur are the nearest airports available. This site is connected to roadways all the season throughout the year. Here, there is a temple dedicated to Lord Shiva, due to which, every year there is a fair being held at Damera, followed by huge rush of devotees and followers. There is a legendary story that, at the time of Second World War(1939), movements near this place incresead all of a sudden, which can still be recognized by some relics(ruins of ancient walls) evident in the area. Damera is a perfect picnic spot. 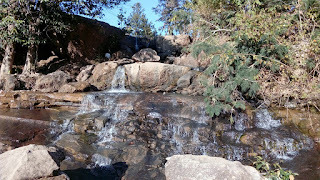 There is a small brook passing nearby, which follows the lower valley slope direction and meets the open valley after 1.5 kms. This brook forms small-small waterfalls after every 10m which is quite strange and wonderful to observe. 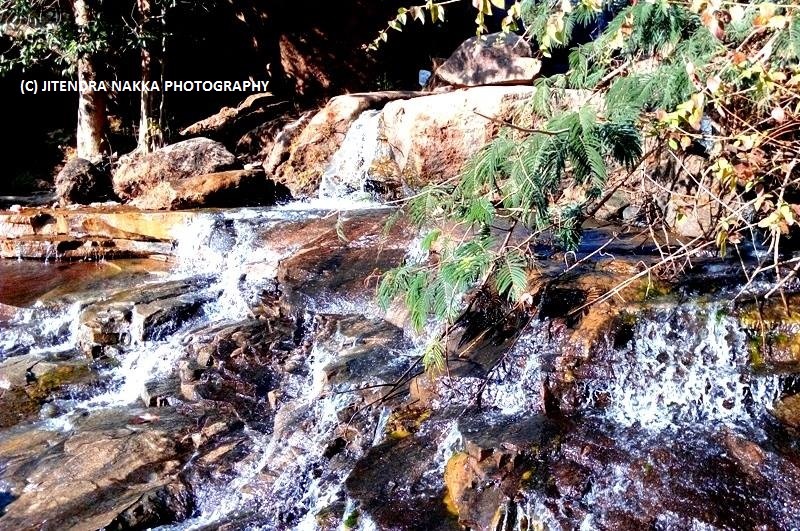 Just beneath the temple, there is small but beautiful waterfall, where a small brook falls from a marginal height of nearly 10m and forms a cascade renowned as Damera Waterfall. It’s quite strange to tell, but true. This small brook which passes down the valley, plunges down about 15-20 feet to meet the open valley and forms a splendid waterfall known as Bhringraj waterfall. The whole terrain is completely rocky and so is the path of brook; hence creates small-small numerous waterfalls following the slope of the valley. 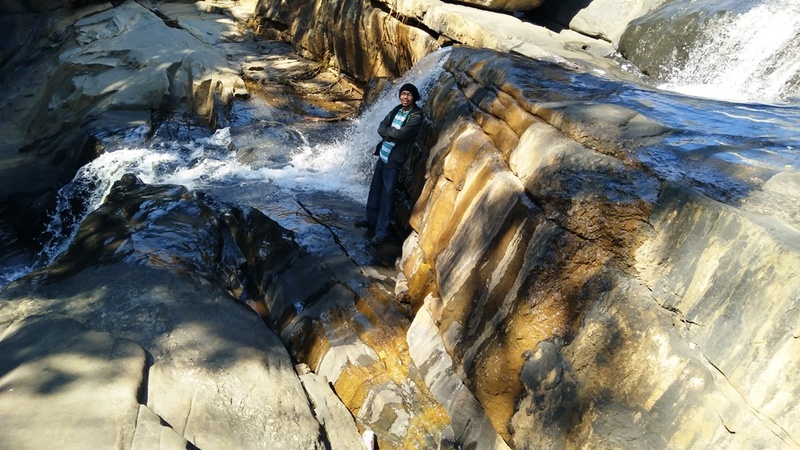 It’s my personal request to all interested tourist who wish to visit Jashpur, do visit Damera and take a traverse of the complete path of stream channel. 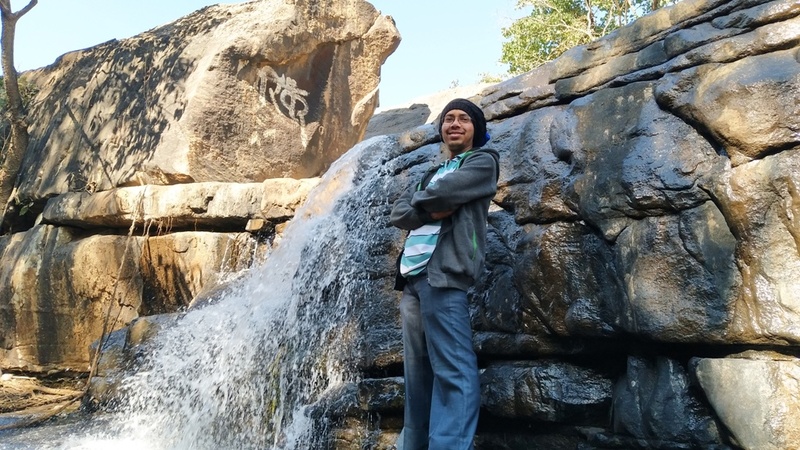 Do visit Damera and Bhringraj waterfall. It’s just like big explosion in a tiny packet. 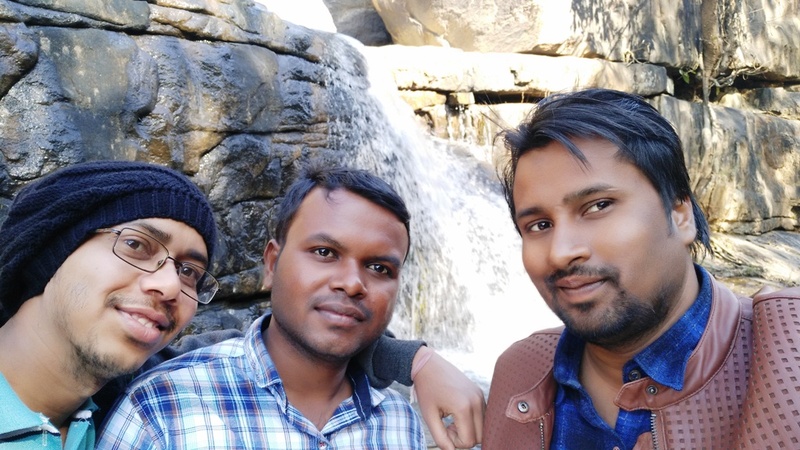 Last but not the least, I express my special thanks to Mr. Surya Prakash Sao and Mr. Jagdeep Bhagat for arranging this trip and making my experience even more special. Thanks Guys!! Somewhere I had heard that, the most beautiful places in the world are located somewhere in the most challenging locations. 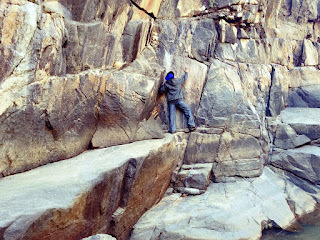 I, too, came across the same experience, when I visit the marvel”Goddess Khudiya rani cave”of Jashpur. There are very places in world where a cave is worshipped as an abode of Goddess Shakti(Goddess Durga) instead of Lord Shiva. Khudiya rani is one such cave. 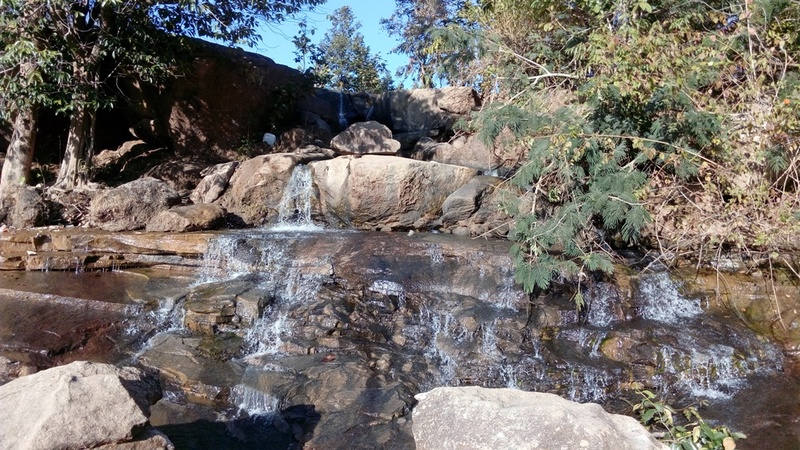 Jashpur, one of the most promising districts in respect of tourism, has the potential to attract any tourist in terms of religion, mythology, history, archeology and tourism. Khudiya rani comes under Bagicha block of Jashpur District. Jashpur, one of the most promising districts in respect of tourism, has the potential to attract any tourist in terms of religion, mythology, history, archeology, custom, tradition, culture and tourism. Khudiya rani is situated at Chhichhali(R) village of Bagicha block of Jashpur. From Bagicha, one has to travel nearly 18-20kms to reach Chhichhali(R) village. 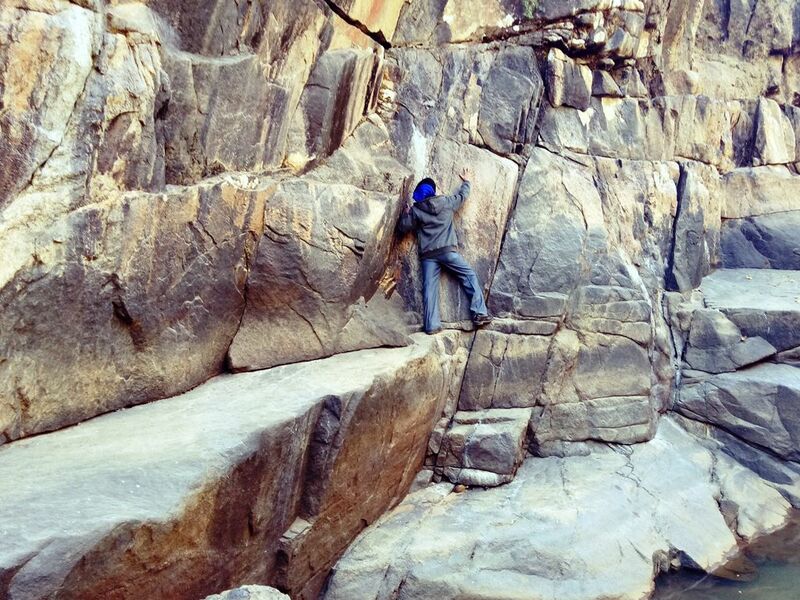 From where, again a fierce traverse tests the patience of a rider/driver to descend down to a slope of nearly 300-450 upto 5km to reach this marvel, which is popularly known as Goddess Khudiya Rani Cave. 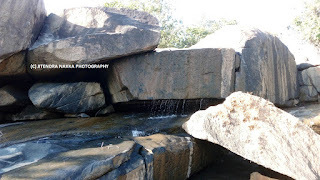 As the site is quite sloppy, it is advisable to visit this site in months of winters and summers, irrespective of the fact, that it is opened in rainy season too. Bagicha, the block HQ, is the best lodging and boarding site available nearby, some of the good hotels provide you exciting packages of tour and travels of nearest tourist places. Raigarh and Ambikapur are the nearest railway stations available nearby whereas Ranchi(Jharkhand) and Raipur are the nearest airport available. It feels awesome being at Khudiya rani. The respective place is famous, not only for cave, but also for waterfall and the geological features existing here. Just getting down the high slope to reach this exotic place, one has to descend down a no. of 300-400 stairs which are very long, with a slope of nearly 30-40 degree again. 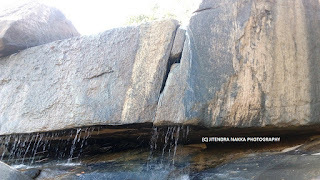 In the last stairs series, one can observe thin waterfalls emerging out from rocks. They can be understood as springs too. Just around Khudiya rani cave, all the rocks are undulated and folded, making it more challenging for tourist to stand quite in a single place. One has to keep moving to make upto this sacred cave. Just 200 ft infront of this cave, we can observe a small waterfall formed from the brook emerging out from the interior of the cave, along with a channel arriving from the back of this sacred cave. 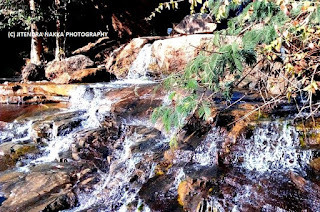 Both the channels mix with each-other and form a small brook to descend down from a height of nearly 15-20 feet to form a small but beautiful waterfall. Just above the left entrance of cave, a group of priests reside and offer prayers and rituals in the name of devotees who visit this divine place for bestowing. 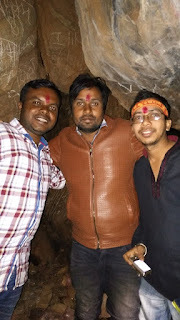 Here the cave is worshipped as an abode of Goddess Shakti(Goddess Durga) instead of Lord Shiva. Khudiya rani cave has two entrances, out of which the left entrance is the main one. The cave is nearly 100 ft long, divided into two chambers connected by a comparatively thin horizontal shaft, where the first chamber is nearly 50 feet long and 30 feet wide, shaft is nearly 7ft wide and 30ft long, followed by last chamber which is 20 ft long and 10-15 ft wide. Though the cave is granitic in nature, but still due to infilteration of yearly flooding, it exhibits some of the structures like speleothems e.g. cave draperies and flowstones etc. To the very last of final chamber, there lies a small hollow cavity like chamber(spring) from where water comes out and forms a small brook. In the right side of last chamber, two hollow chambers are located supported by thin rock columns, which are revered as incarnation of Goddess Shakti(Goddess Durga). The reason may be the ‘brook’ coming out of the cave, as water is considered as the source of life. Last but not the least my special thanks to Mr. Surya Prakash Sao and Mr. Jagdeep Bhagat of Jashpur for their perseverance, coordination and help, they provided me and my colleagues during this visit. 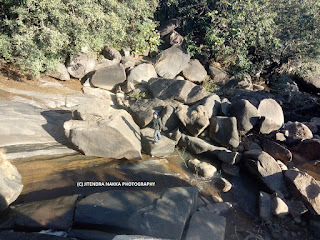 If I say Jashpur as the Wonder of Chhattisgarh Tourism, let me justify, I am not over-admiring or boasting about some place. 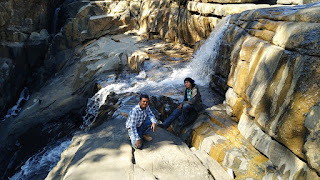 Jashpur is one of the most promising districts regarding tourism of Chhattisgarh. This time, I am talking about Ranidah Waterfall, which is one of the most beautiful tourist sites near District Head Quarter, Jashpurnagar. 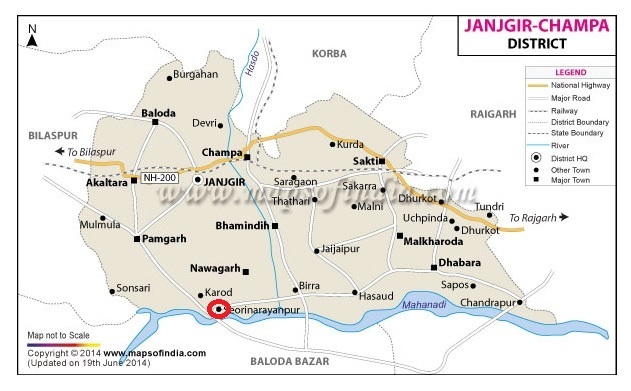 Ranidah is nearly 15 kms from District Head Quarter, Jashpur nagar and nearly 465 kms from State Head Quarter, Raipur. Raigarh and Ambikapur (Surguja) are the nearest railway stations here. Ranchi (Jharkhand) and Raipur are the nearest airports available for this place. This place is approachable throughout all the season of the year. From Jashpur, one has to go towards Kunkuri Road up to Balachhapar village. From Balachhapar, we have to take a unmetalled road(kachacha road) and take a 12kms traverse up to Ranidah. For lodging and boarding, few good hotels and lodges are available near around District Head Quarter, which offer exciting tourist packages inside District. As the above site is quite near to Jashpur, it is advisable to stay at Jashpur itself. Coming under Jashpur block of the District, Ranidah is actually a small valley, where the water from the adjacent brooks(nallahs) decends down upto 80-90 feet in a cascade manner to form a splendid waterfall popularly called as Ranidah Waterfall. Ranidah Waterfall is famous not only in tourism point of view, but also famous for mythology and other legendry story attached to this site. Once a Queen is believed to have lived here, who committed suicide by Jumping in the valley from a considerable height of 80-90 feet. It is also believed that the reservoir on the valley where she jumped and drowned herself is so deep that one cannot measure its depth. It is also believed that she had 5 brothers, who tried to stop her from committing suicide, but failed, later turned into oval shaped rock blocks, now popularly renowned as Panch-bhaiya Shiv temple. The most exciting feature of this site is the long stream channel of the valley which is fully covered by massive boulders of rocks. Some are small, some are medium while few of them are massive and they together create an ideal trekking site. An adventurous tourist may tend to take traverse of the valley channel and also enjoy the steep banks on the either sides, which on some places, allows the tourist to climb-up through the banks. In some spots, while climbing up, you can visit some cave-shelters or grottos, which may give inference of the existence of any wild animal nearby. We, fortunately, spotted hairs of Wild-Beer around such grottos. 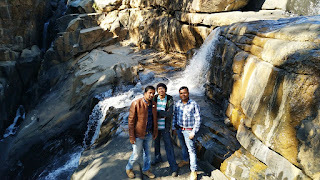 Last but not least, My special Thanks to Mr. Surya Prakash Sao, Mr. Jagdeep Bhagat for arranging such a memorable tour for me and my colleagues.